We are very blessed having Pamela as our Founder and CEO. She is uniquely and highly qualified for this position, having gone through similar challenges with drugs for 35 years and fulfilling every facet of this Ministries’ goals for persons with substance abuse problems through the many certifications in Counseling and Biblical Specialties, a Forgiving Forward Coach and Life Coach, as well as, solutions for the many problems of family members of the incarcerated. She is our “Role Model” for our inmate/mentees. As a result of Pamela’s past, (which you can read more about), she leads by example for women and men in prison which has led her to have such great passion and purpose to help these lost and forgotten become trained, equipped and empowered, to never return to the prison system again, but become pillars to our society. Pamela started Chebar Ministries while in prison through the class called, 'Daughters of Zion, Women of God, Using Their Time Wisely’. Since her release Nov. 18, 2010, she has created programs under the name of LifeChangers Legacy. She has been called by God to this ministry to “Women in prison on drug related charges…..and their families” and we are so blessed that she has accepted that “call” since she is so uniquely qualified to head this ministry. Her entire life has prepared her for tackling America’s number one problem. For the past two years Pamela has run a transition house on the outside of the prison. Pamela is continually enhancing her science and biblical knowledge to make LifeChangers Legacy the very best possible in helping the inmate/mentee. She has become a certified Specialist in many fields of Alcohol and Substance Abuse and is certified as a Paracletos Biblical Specialty Counselor and Practioner. Pamela has learned the history of the Stages of Change (Trans-theoretical Model) and works with many with trauma and uses her expertise in Trauma Recovery Empowerment Model (TREM). She has obtained an understanding through training of how to use Enhanced Supervision Program (ESP) techniques to reinforce the change process. She is certified as a Forgiving Forward Life Coach and is currently undergoing her Certification Licensing to become a Correctional Chaplain. She knows the need for these in her field of helping others to transform their thinking. We are also blessed to have on our management team, a uniquely qualified group of individuals who are led by God to join in this powerful movement for change within our gates and bringing family restoration to our communities. J. T. is also uniquely prepared to assist Pamela because of his background and experiences. As a CPA, he was on the national audit staff of Price, Waterhouse & Co. in New York City right out of college, and received an award for making the highest grade in Florida on the CPA exam. He then started his own CPA firm in Tallahassee, which became the largest in that city in about 3 years. Then he entered another career where become head of an American Stock Exchange company for 31 years. At the same time, as a volunteer, he co-led the Bill Glass Champions For Life for its first 10 years. It has become one of the largest prison ministries in America, and is now in its 41st year. Until the summer of 2012, he served as its CFO for 4 ½ years. In his 2nd career as a land developer, he was credited as “Changing the Way the Capitol City of Florida lives”……and Georgia Trend quoted “Eagle’s Landing” changed the Southside (of Atlanta)”, which was his first Georgia development. J. T. has demonstrated his “giving back” by serving under 10 appointments, by Governors, to major boards in Florida and Georgia, including Chairman of Georgia’s State Board of Education and still serves on the GRTA Board as its Chairman of Projects and Planning. He was named “Citizen of the Year” in Henry County in January, 2013. His service to Georgia has been honored by a number of Resolutions passed by Georgia’s General Assembly, including having an 11 lane bridge over I-75 named after him. J. T. is uniquely qualified to organize and handle the administrative part of this great ministry. Os Hillman is founder and president of Marketplace Leaders, an organization whose purpose is to help men and women discover and fulfill God’s complete purposes through their work and to view their work as ministry. Formally Os owned an advertising agency but is now an internationally recognized speaker on the subject of faith at work. He is the author of 18 books and a daily email devotional called TGIF Today God Is First which has thousands of readers in 105 nations. Os hosts a national radio show, Faith, Work and Culture with Os Hillman. Os has been featured on CNBC, NBC, LA Times, New York Times, and many other national media as a spokesperson on faith at work. He is a regular contributor to TenTen magazine, ChristianPost.com, CharismaNews.com, and Crosswalk.com. Os is also president of Aslan, Inc. which provides a leading online “faith-at-work” Christian bookstore called www.TGIFbookstore.com to serve the needs of Christians in their workplace calling. Os is happily married to Pamela and they reside in North Atlanta. A decorated Air Force pilot and commander of a unit of 500, who was promoted in the top 1% of his peers. He translated his leadership and management skills in running several successful businesses – growing one startup to become a Home Depot supplier in less than two years. He has also won many national awards from a group of 350 coaches to include “Coach of the Year” for client results. 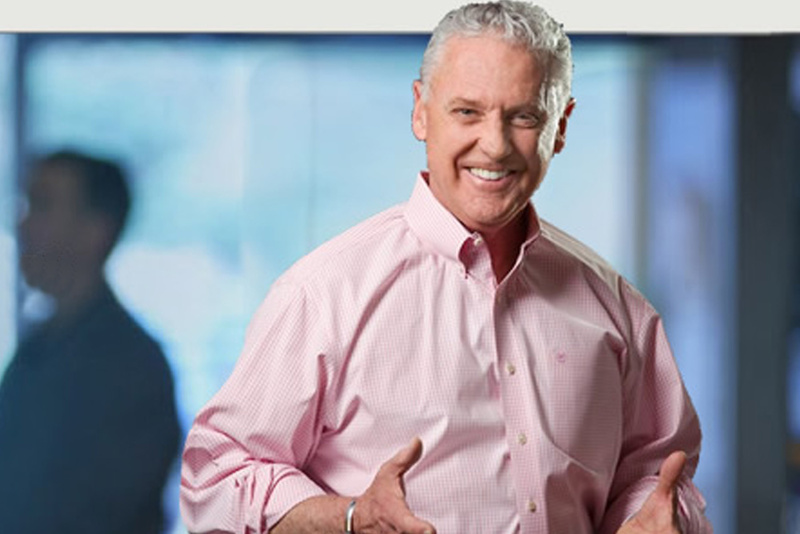 Wayne’s passion is helping business owners have more time, money and the freedom to enjoy it. He does this by helping leadership teams implement the business operating system called EOS® -- the Entrepreneurial Operating System®. He loves EOS because it is the one thing he has found in 15 years that is a true game changer--making a difference not only in the company, but the owners, the leadership and their families. Wayne is a Certified EOS® Implementer and serves on the board of several non-profits including: 101 Best and Brightest Companies, SafeHouse Urban Outreach, and LifeChangers Prison Ministry. He is also a Coach for Lifework Leadership and member of the Oxford Center for Entrepreneurs and Souly Business. 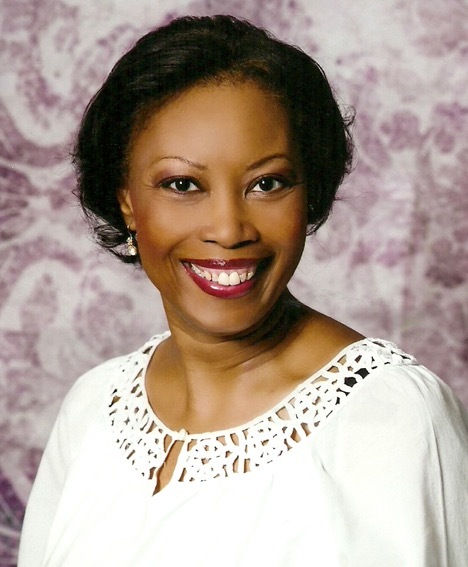 Wallette McCall is founder of AnotherCoachingLevel.com where she emboldens women to thrive in the midst of change. Wallette coaches women through the fear and anxiety that can be associated with transition.Wallette was trained by the Coaching Institute and the Coaching and Positive Psychology Institute (CaPP). She utilizes the cutting-edge techniques and tools provided by the research and evidence-based field of positive psychology to translate her personal experience, wisdom, and insight into innovative and results-oriented coaching and training products. Wallette is also a certified Biblical Counselor. She received her counseling certification from Christian Research and Development. Wallette is a contributing author of the books: The Confident Woman: Tapping into Your Inner Power, and Building a Business Building a Life. Wallette was commissioned through Glory of Zion International Ministries to the work of the ministry in the marketplace as a Business of Zion. Wallette’s Ezine, Breakthrough to Change, encourages and supports women through the many challenges of transition. She is also the co-host of the Rise and W.I.N 15 Minute Transformational Call. Michelle Cole is Mentee Director with LifeChangers Legacy, Chebar Ministries, Inc. Our program is a vital to the lives of all the ladies that are behind the wall. It is a matter of life and death to them. And not to be able to have the one on one from us and their Mentors would be detrimental to there mental and physical and emotional well-being. And plays an important roll as to when they are transitioned to going back to society and to be able to function in Society and to be able to make it in the outside world and not fall back into old patterns and old mine sets and end up back behind the wall as most do as a revolving door. I feel as a mentor myself two five of the ladies that are in our program and your facilities and all the other mentors will help these ladies in many many aspects of their lives that will affect them for the rest of their lives. And without our program I feel that it would be a great loss to them and would hurt them in so many other ways and aspects of their lives rather than helping them. As they have already experienced being rejected by their families and their loved ones, friends from the outside. Most of these ladies do not have a support system from the outside world and we as ther mentor are the only connection to the outside that they have. We are there support. We not only give them moral support but spiritual support and guidance through the word of God and the leading of the Holy Spirit. As being a mentor to these ladies it is not only helped them but it is also helped me and and I can say that it is also helped other mentors as well. I beg of you to please allow us to continue our ministry through JPay to be able to email these women on a weekly basis through our mentorship program. Thank you so much. Godspeed, Michelle Cole, Mentee Liaison Director with LifeChangers Legacy/Chebar Ministries, Inc.
Bliss and her husband, Albert, own The Bliss Center Paracletos Institute International where she has a private practice and operates as the oversite agency for Paracletos Counseling Specialists. She holds a Doctorate in Biblical Studies & Clinical Counseling and a Masters in Biblical Studies and Christian Psychology. In her spare time, Dr. Bliss, along with husband, Albert, is a part of the duo Sounds of Bliss, a ministry of word and song. She is a sought-after teacher, speaker and a Christian curriculum specialist. Currently, Dr. Bliss is developing Christian therapies for people who want to overcome Fear. Lynn shares Pamela’s passion for activating our identities in Christ and the explosive freedoms found in forgiveness. She is the author of Cascade Award-winning The Quest for Self-Forgiveness, the first book in the Brilliant Redeemer Series. It is Lynn’s heart to bring restoration to families.Lynn Hare is the Prayer Coordinator for LifeChangers Legacy, Chebar Ministries. She is an award-winning author, speaker, certified teacher, and coach who helps Christians in adversity, uncertainty, or transition find clarity and peace as they move forward in alignment with the Holy Spirit. She equips and empowers Christians to discern and apply the Holy Spirit’s heart, thoughts, and wisdom in her class, Spiritual Quotient. Lynn provides practical tools for integrating spiritual wisdom into everyday careers, activities and relationships, while releasing creativity and divine possibilities. A member of Kingdom Congressional International Alliance (KCIA), Lynn serves as Prayer Coordinator on the Boards of Oregon Christian Writers and Serving Our Neighbors (James Autry, Executive Director). She is a former member of Graham Cooke’s intercessory team, The Warrior Class. Lynn has prayed for revival on numerous KKPZ Radio broadcasts and appeared on The River Blog Talk Radio and God Encounters TV Broadcast. She has prayed with thousands of people one-on-one and serves on multiple intercessory teams in the Portland, Oregon area. I am a wife, a mother of four and a grandmother of two. I believe that we can make an impact on society with a true positive focus of compassion, empathy and understanding that we are all here today by the grace and mercy of God. Nothing could have ever prepared me for the challenges I faced with the trials and tribulations that have been placed in my path, but with the Holy Spirit I have been healed and restored by the blood of Jesus. Sharon’s approach to wardrobe consulting provides women with the opportunity to express their needs, concerns, and desires, and to deal with their specific areas of challenge. This type of “reality check” empowers her clients to optimize their wardrobe needs by building upon their existing wardrobe and creating a more effective wardrobe that maximizes their time and budget, and affirms increased self-worth and confidence. “The Transformer” is passionate about helping women to look “pulled together.” Her expertise as a Professional Bra Fitter is very dear to heart, because, a good foundation is key to how you look and feel. She loves educating women on the importance a good fitting bra and foundation and providing them with the “Gift of Lift!” Her personalized service enables women to create and enhance the natural projection of their inner spirit while meeting the demands of their busy lifestyles. Her ultimate goal: taking her client’s appearance and wardrobe to the next level with style and elegance. In 1989, Barbara earned a Masters of Pastoral Studies from Loyola University New Orleans’ Graduate Institute of Community Ministries, a dual track program of social work and Christian theology. My work history highlights include: behavioral health with persons with HIV/AIDS; juvenile justice, St. Jude’s Recovery Center focus on Addictive Disease/Mental Health treatment and prevention; SAMHSA/CSAT’s treatment for pregnant women’s program, Catholic Charities National Office of Social Services Programs, Evaluation and Advocacy; Caritas/Catholic Charities International/Lithuania’ Ministry of Health (assisted creating after Soviet Union fell), Gwinnett County’s Budget Dept/Grants Management, City of Lilburn Compliance & Grants, GA Dept of Behavioral Health SA Community Prevention Programs; a variety of community-based and faith-based human, social and clinical services organizations serving the general population or minority populations which currently includes LifeChangers Legacy/Chebar Ministries. Providing adequate, accessible and appropriate services required advocacy for authorization and appropriation from federal, state and local legislative and bureaucratic bodies. I co-founded the GA Council on Substance Abuse, the Prevention Credentialing Consortium of Georgia, the International Reciprocity Credentialing Consortium, and the National Interfaith Alliance for Substance Abuse Prevention. I worked with other advocates for the successful passage of: Drugs Don’t Work Workers Compensation Businesses/Corporation Credits, Graduated Drivers’ Licensure for Youth, Accountability/Diversion Courts with accompanying Mandatory Testing and Treatment of Repeat DUI/DWI Offenders, and other behavioral health related legislation. Andrea Moore is a native of the Republic of Trinidad and Tobago; and became a naturalized American citizen in 1976. Andrea is a minister of the gospel and an entrepreneur for the past 34 years. Andrea is a graduate of Pace University in New York City and holds a B.A in Business Management. She is a licensed Cosmetologist as well as a Cosmetologist instructor since 1980 in New York, Georgia and Texas. Andrea also held licenses as a Life Insurance Agent, Property and Casualty and a Securities license for investments – Series 6 and 63. Andrea’s objective is to win souls and empower individuals from diverse backgrounds and ages, to advance the kingdoms agenda. Andrea founded Heaven’s Cove Residential Drug Treatment Facility, Heaven’s Cove personal care homes in Lithonia and Decatur, as well as transitional homes throughout the Atlanta area. In the state of New York, Andrea owned 3 hair salons and 2 clothing boutiques. HireLiving, Inc. provides technical training and employment assistance, to the unemployed and low-income women in our communities, and has partnered with LifeChangers Legacy Programs, the "Returning Citizens". Raphael Louis, (born in Les Cayes, Haiti), human rights advocate, political nationalist, federal and provincial government lobbyist, Founder, President & CEO of the Federal Association for the Advancement of Visible Minorities (FAAVM), Founder & Leader of The National Coalition Party of Canada (NCPC). His humanitarian, social justice and political advocacy helps underprivileged minorities, ushering in a peaceful democratic transition. Raphael has been awarded several humanitarian prizes, diplomatic credentials, chivalric and nobility titles and recognition from various institutions and organizations worldwide. Raphael Louisis the son of Idanor Louis and Yva G. Louis. Young Raphael attended elementary and secondary schools at Seminaire Adventiste Franco Haitien (SAFH) and was a brilliant student. Raphael was deeply impacted by the socioeconomic and environmental conditions of Haiti and expressed his concerns through music, such as piano and guitar. He received a scholarship at Lynn William Rouzier School of Arts where he studied Ballet and Haitian Arts and Culture. He also wrote and co-produced a TV film-documentary, while working at a local television station. Raphaelmoved to Naples, Florida (USA) to be reunited with his father. After his father’s death, Raphael moved to Canada seeking asylum on the grounds that returning to Haiti would lead to persecution on account of religious, human rights and political beliefs. He attended College and University where he studied law, criminology and other self interest courses. Raphael has been leading the FAAVM organization for the past sixteen (16) years, and is NCPC Leader through which he is helping revitalize and advance democracy in Canada. Raphael was incarcerated at William Head InstitutionPrison, in Victoria British Columbia for a crime he did not commit. He was charged and convicted of fraud by Canada Revenue Agency (CRA), a federal government institution, where Raphael received absolutely no money. He filed his income tax legally without any false document then after his claim was denied by the agency; they decided to appear before a judge and made false statement to obtain a search warrant. The search warrant was executed by the CRA agents and the police where various FAAVM legal documents were seized. At his pre-sentence hearing, the officer indicated that Raphael required psychological or psychiatric evaluations because one of his website was promoting his dream to one day become Prime Minister of Canada. The judge declared him a danger to society at his sentencing hearing and was sent to prison accordingly. During his incarceration, Raphael was pressured to terminate his FAAVM organization’s activities, denied his right to appeal and denied his right to accelerated parole. Raphael continues to fight for human rights and justice and hopeful to get his life back one day. Raphael battles for a more just and fair world and his experiences with human rights inequities inspired him to create and establish the Federal Association for the Advancement of Visible Minorities (FAAVM) as a vital socioeconomic and humanitarian instrument to vehicle social justice, fundamental freedoms, transnational solidarity and global peace amongst minorities and between peoples of the world. FAAVM existence represents a significant multilateral humanitarian system, which stands firmly as a human rights watchdog to protect human beings from crimes against humanity and to have recourse to a justice system based on the element of truth and the rule of law.